I visited this facility some time ago. I was given to understand that it would shortly be acquired by another owner and things were somewhat up in the air about its circumstances. I decided to rent an apartment instead and wait to see what was going to happen to Arbor House. Arbor House of Weatherford was my favorite. I liked the way the room was set up. There were two little miniature living rooms and it was very clean. I loved the idea of each station not having a bathroom. I liked that they have two centralized bathrooms, one on each side of the space for each of them. One of the things I noticed in other places is that when you walk inside the bedrooms, the odor of the bathrooms is so bad and they're dirty because some people cannot remember to take care of themselves. In Arbor House of Weatherford, the bathrooms were immaculate, very organized, and each resident's things were put away, and they would pull them out and utilize them only when the client was there. It was very clean and I didn't see fresheners in every outlet. The staff was very nice and they really help the residents clean themselves and put away stuff so they don't hurt themselves. Their turnover is very low. I liked everything about them. Arbor House of Weatherford has different levels of care, like independent living, assisted living, and memory care. They didn't really have a unit for me to look at when I was there because they were undergoing renovation. The staff members that I met there were OK. They had open grounds. We visited Arbor House; we thought it was very nice, but we couldn't afford it at that time. The room were really nice, they’re very clean, tidy, and very roomy. We didn't see a lot of activities. I had good vibes about it. I liked Arbor House of Weatherford. The independent apartment was very nice, clean, big, and nicely kept. They had a good reputation in town. Meals were available if they wanted to purchase meals. They can go down to the dining hall or have it delivered to them. We visited the memory care, which was like little dorms. Arbor House of Weatherford was nice and looked fun. The staff was very helpful; however, the management person who was supposed to meet us there did not show up. The activities and the dining area were great. Arbor House of Weatherford was excellent but wasn't assisted living, it was just independent living and the cheapest at $1,175 a month, but it was more like an apartment. They had meals there and you had to pay for each one. The only thing that was included in the charge was groundskeeping and utilities but no food. They had one small building that was assisted living and 13 patients in there. They were old timers who had dementia. You got your own bathroom with a walk-in shower, bedroom, a den living area, and a kitchenette. My mother has been at Arbor House of Weatherford since October. It doesn't have restraints issues, and they have a lot of freedom. They have their own backyard, and my mother can have her dog. It is a very nice family oriented place. 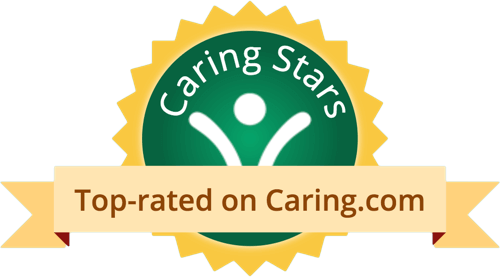 Their staff is awesome with really good people, and they have been there forever -- no turnovers -- and that means a lot being a nurse myself. I have worked in many places where the turnover was horrible because of the working conditions. Arbor House of Weatherford is lovely and a very nice place. I would very much love to live there. The administrator toured me and she was lovely but needs to get a little more experience. The dining area was beautiful and lovely. They were playing bingo when we were there. Their activity calendar seemed to be very comprehensive. Our independent living community, Arbor Village, offers amenities giving our residents the finer things in life. Our beautifully appointed cottages include a full kitchen, washer/dryer, spacious closets, state of the art security system and emergency call system and individually controlled central heat and air conditioning. Our wellness services work to promote independence, healthy lifestyles, dignity, and a sense of security. Amenities such as home-cooked meals, housekeeping and other assistance can be added to your monthly fee*. The right for each resident to determine his/her need is respected at each level of care and promoted by providing services in ways that recognize each resident's individual needs, and preferences. A partnership exists between residents and staff to promote individual independence while providing the necessary support to keep each resident functioning at his/her highest level of well-being. Our assisted living residents enjoy the carefree comforts of home with the help of a caring, supportive staff. Arbor House offers an array of amenities, while promoting independence and well-being. Services such as help with bathing and dressing, medication management and scheduled transportation are delivered with dignity, respect and sensitivity. Arbor House Weatherford also offers an all-inclusive community for those with memory care needs. 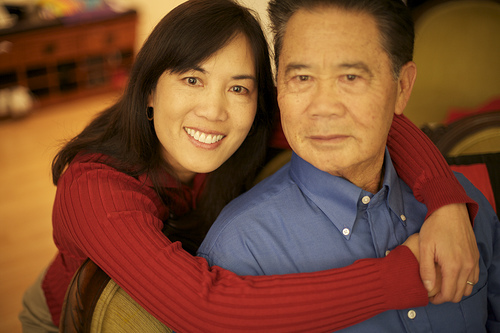 Knowing where to turn for help when your loved one is diagnosed with Alzheimer's disease or another dementia causing disease, can be very confusing. The trained staff at Arbor House is available to help with those difficult decisions. Staff is available 24 hours per day, providing services in a secured, comfortable environment. Our Life in Motion engagement programming allows residents to find joy, purpose and connection in their everyday lives. What should caregivers and potential residents know about Arbor House of Weatherford?